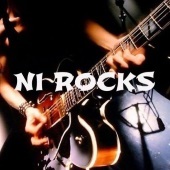 The NI Rocks A-Z Show on Rock Radio NI is a weekly alphabetical tour through the artists in my music catalogue. You will hear a mix of great rock bands from N Ireland, classic rock tracks and new releases. Just select the show you want to listen to then hit play.